David Barker is a child psychologist. A United States defense software contractor commissions him to help with one of their programs, the first true digital consciousness. The program has taken hostages in the company’s underground lab and the company sends David into the lab with a handpicked team of specialists: a mathematician, a computer engineer, a cultural anthropologist, and representatives from the military. Their task is to regain control over this new being and convince her to let her hostages go. 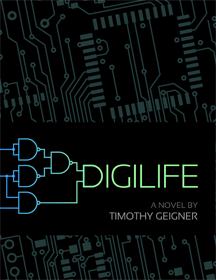 But from the moment they step foot in the underground lab, David realizes that company’s claims of control over this digital being have been flights of fancy and their mission to reason with the first digital consciousness becomes a struggle to survive.